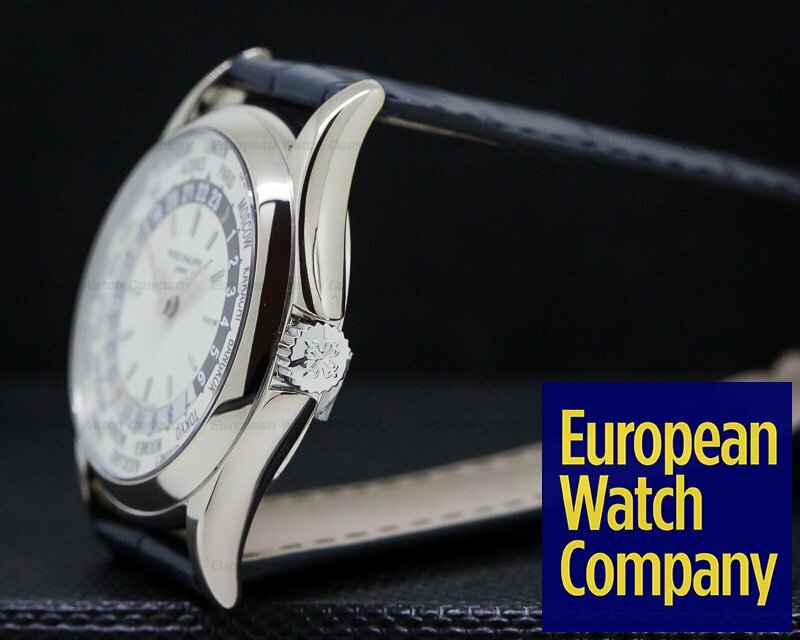 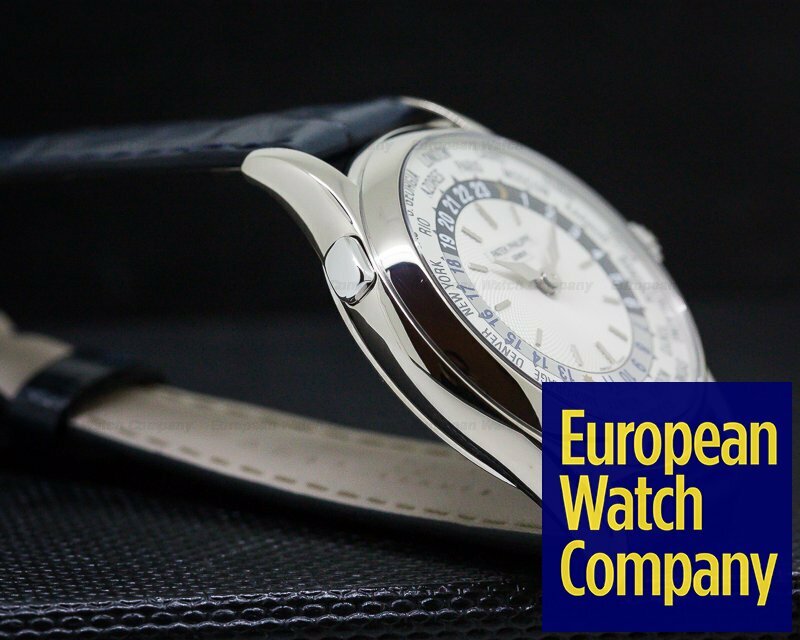 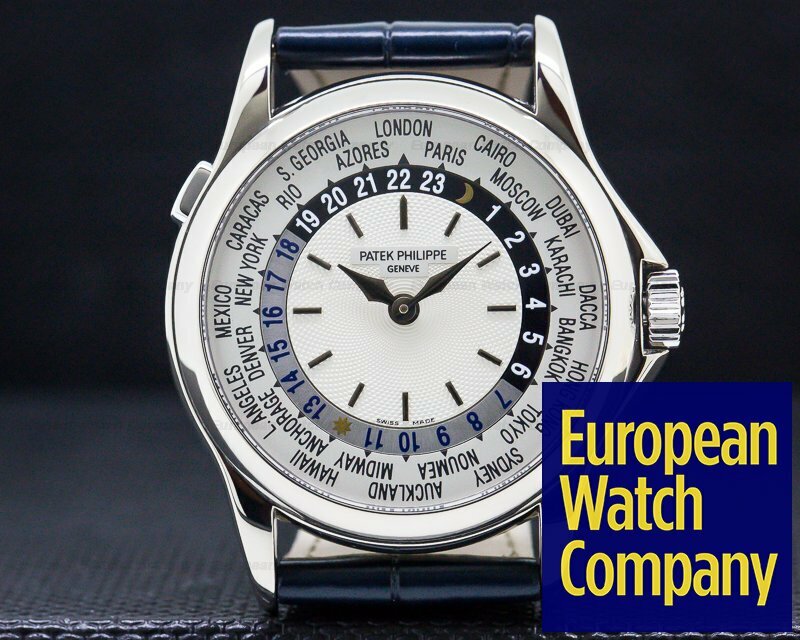 29463 Patek Philippe 5110 G World Time 5110G-001 5110G, 18k white gold on a strap with an 18k white gold deployant buckle, automatic Patek caliber 240 movement, silver dial with inner guilloche and applied white gold hour markers, white gold hands, two-toned 24 hour indicator, diameter: 37 mm, thickness: 9.8 mm, display back, sapphire crystal, water resistant to 2.5 atm, Like New with Box and Patek Philippe Archive Certificate; dated 7/2002. 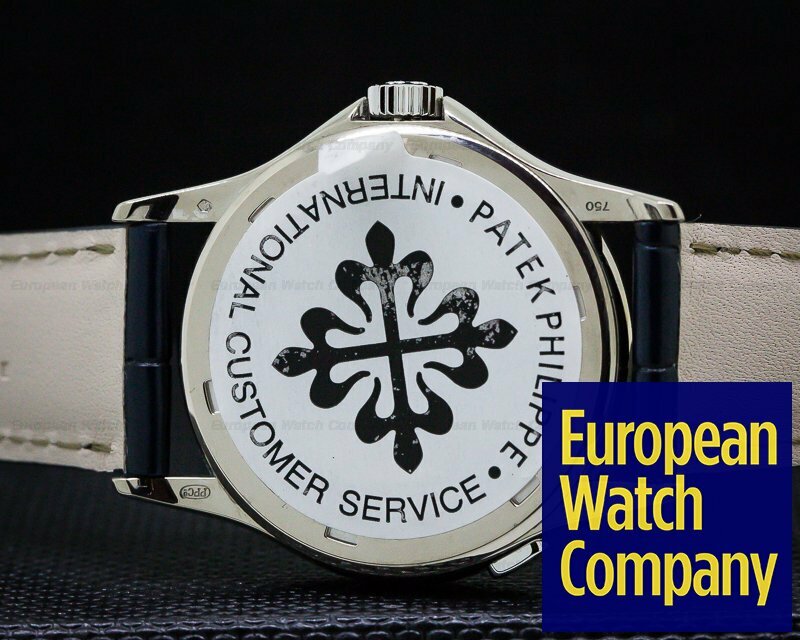 This watch was just fully serviced by Patek. 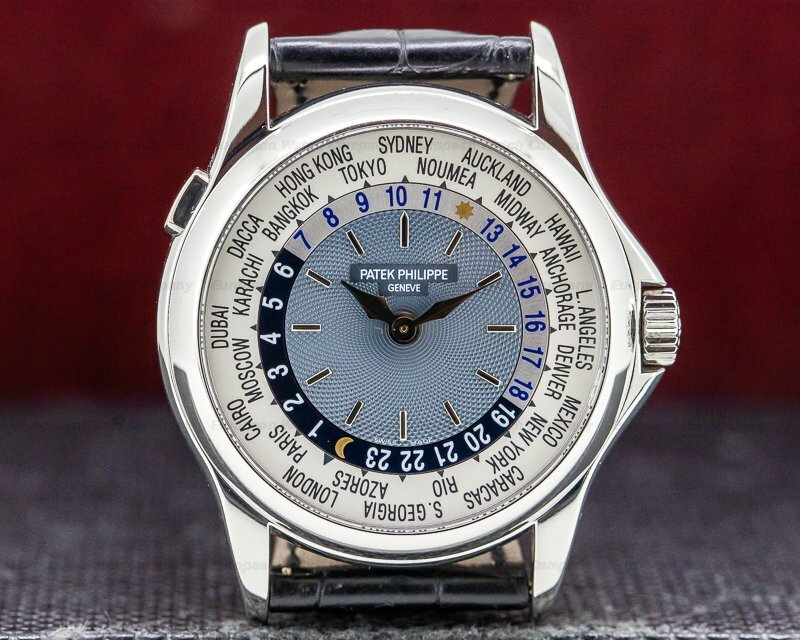 This 18K white gold Patek Philippe World Time 5110 will tell the hour in 24 cities; it can be adjusted to show a new local time while not affecting the minutes. 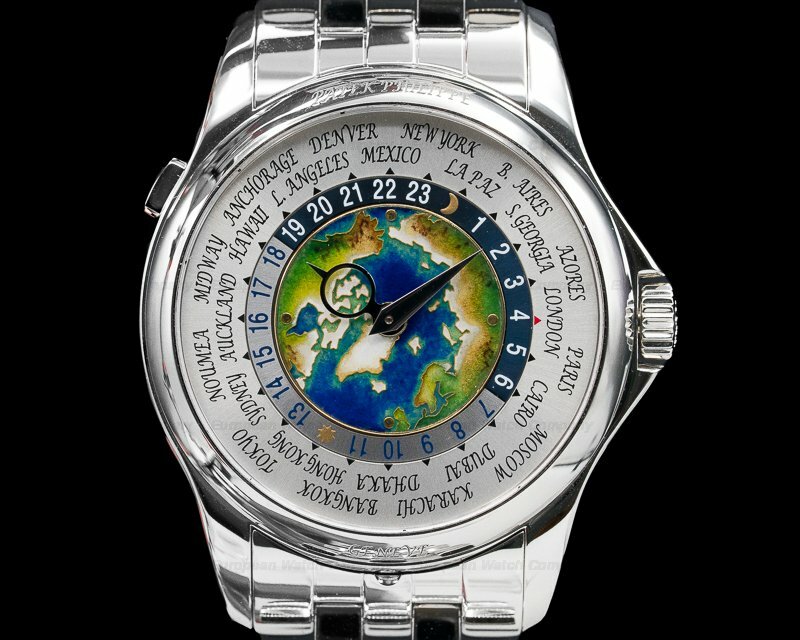 It has a two-part case and a screwed down transparent caseback. 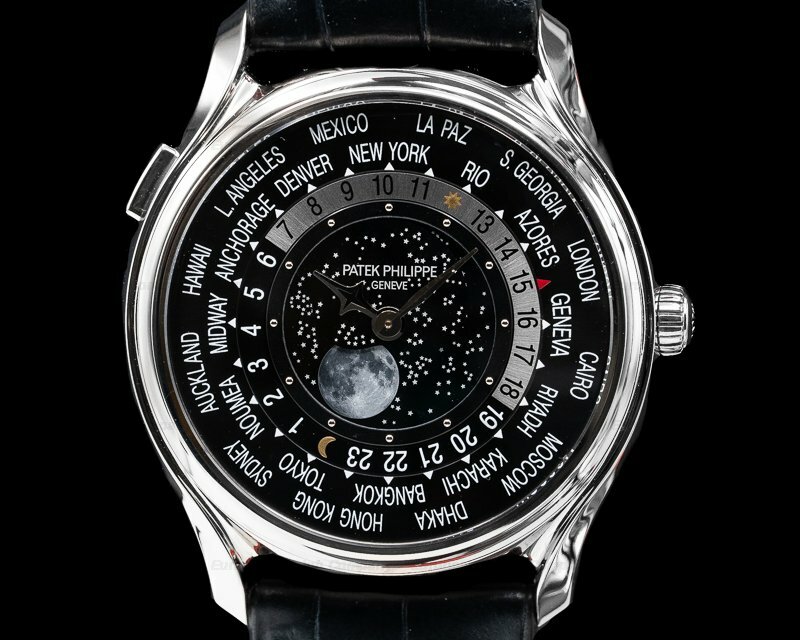 It's 10mm thin; the crown is protected and the push-bar on the band at 10 o'clock changes the settable discs of the time zones. 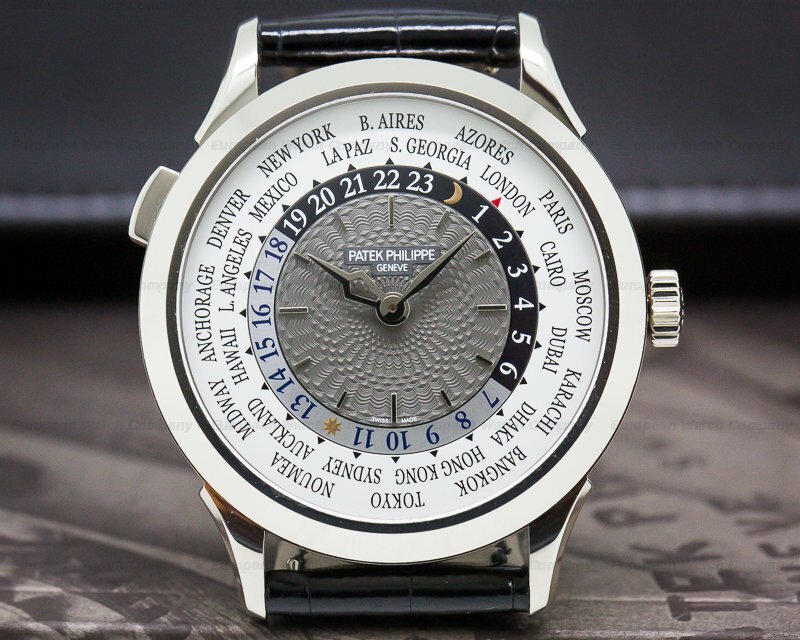 The inner face is Guilloche silver with white gold indexes, inside an outer matte silver and black revolving disc, marking both the nocturnal and diurnal hours. 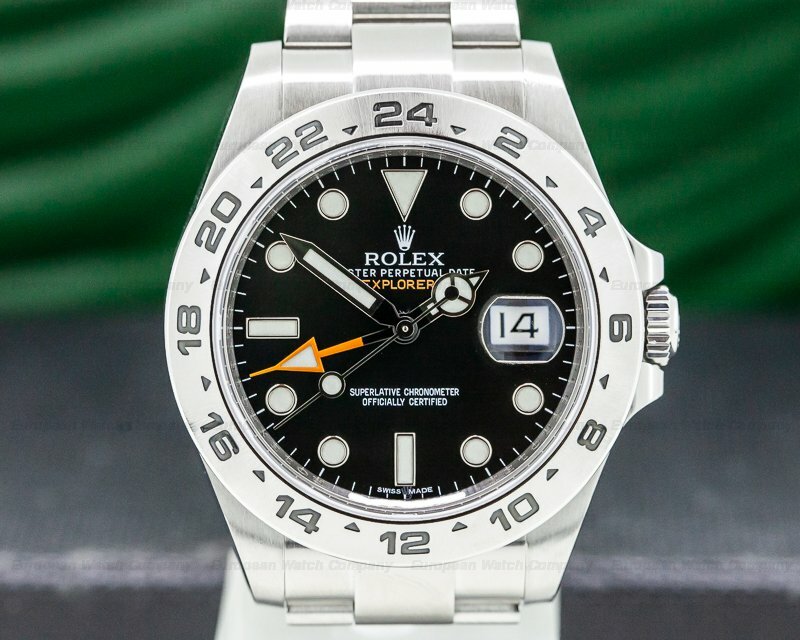 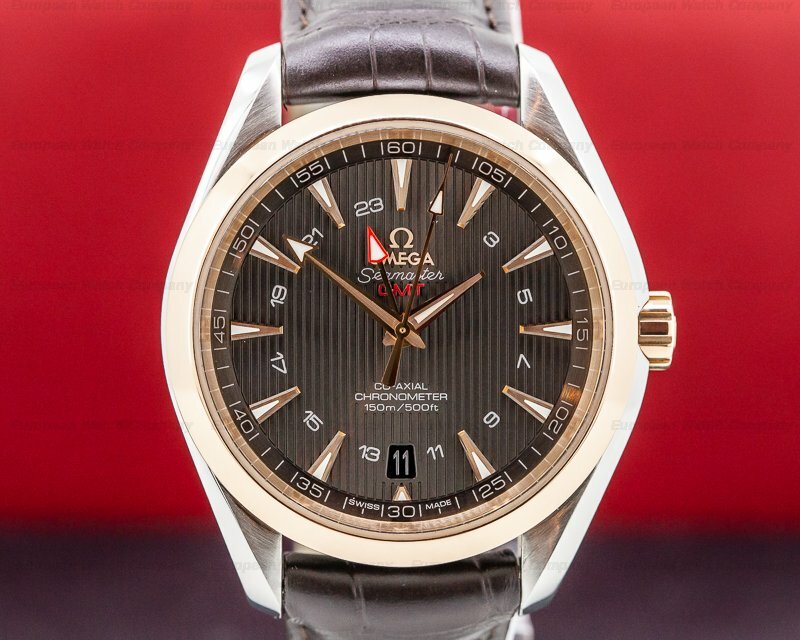 It has white gold lozenge hands; the dial, case, and movement are all signed. 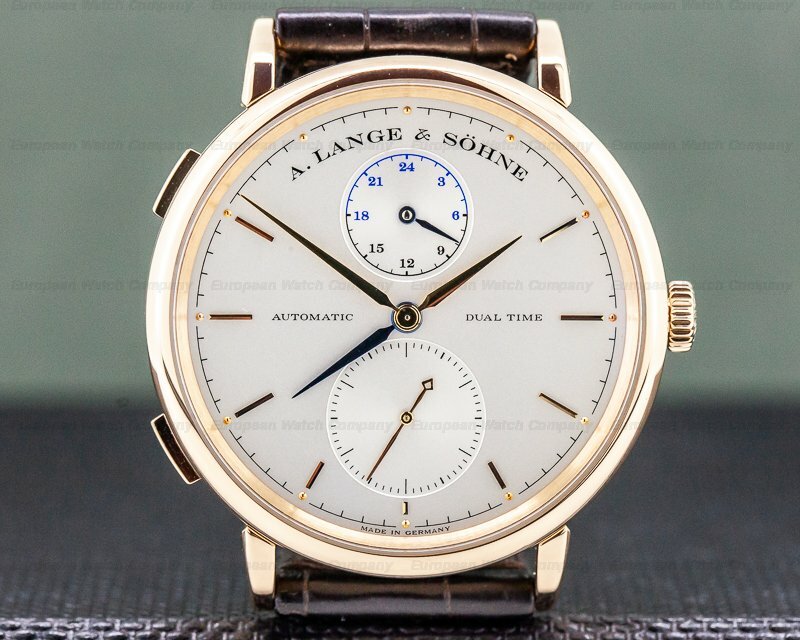 This Calibre 240 movement has 33 jewels, a straight-line lever escapement, a 22K gold mini-rotor, a Gyromax balance with a shock absorber and a self-compensating free-sprung flat balance spring. 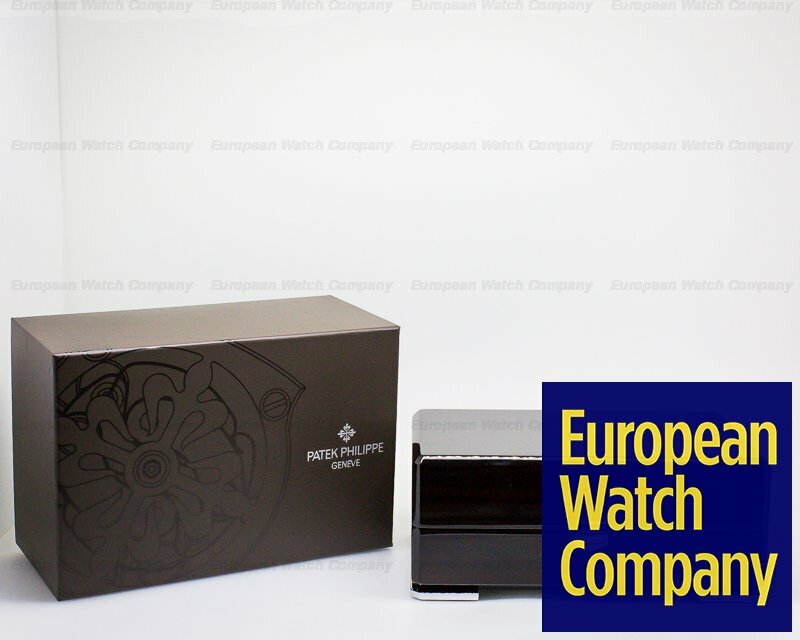 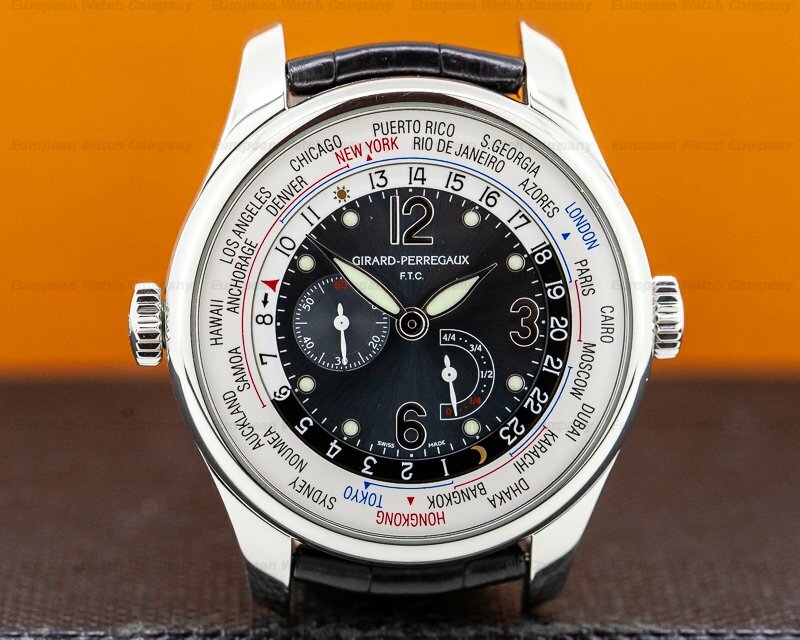 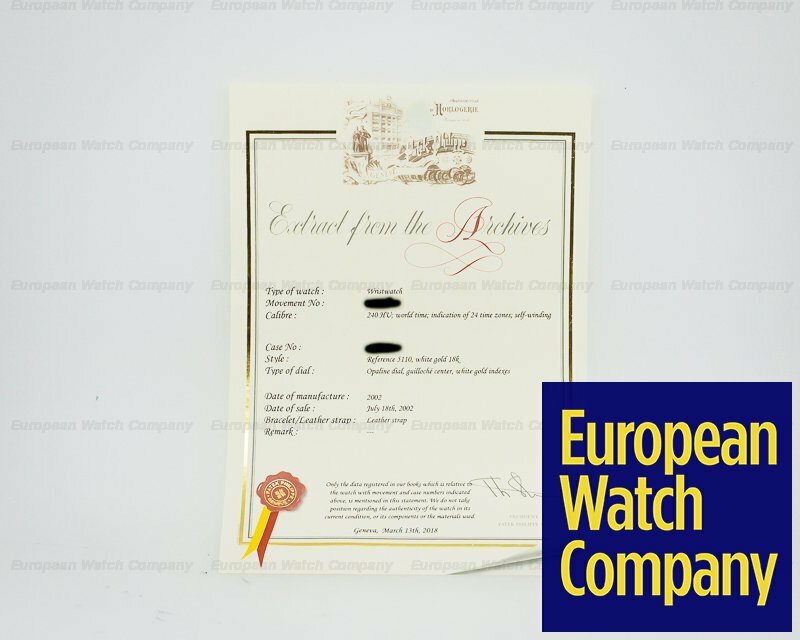 The rhodium-plated mechanism has fausses cotes decoration and it's stamped with quality mark of the Seal of Geneva. 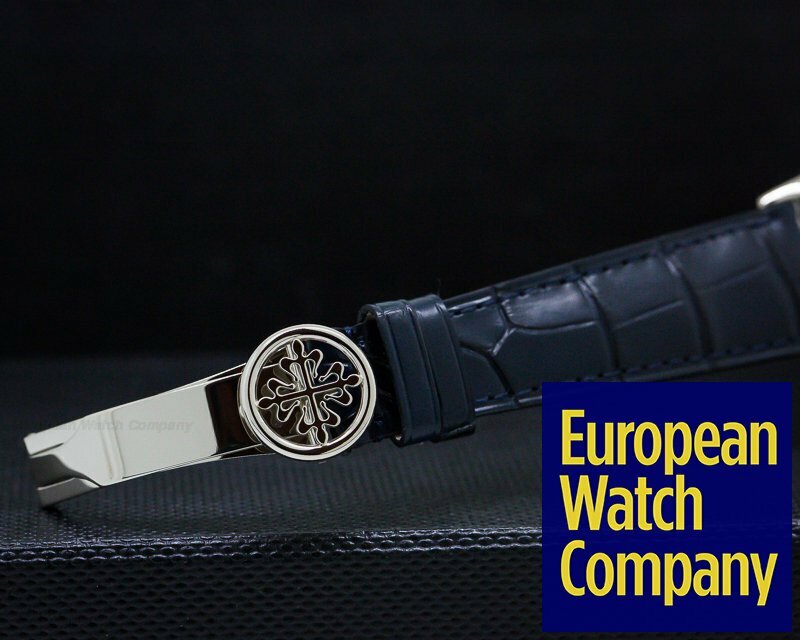 The crocodile leather bracelet has a white gold deployment clasp and it's water-resistant to 2.5 atmospheres. 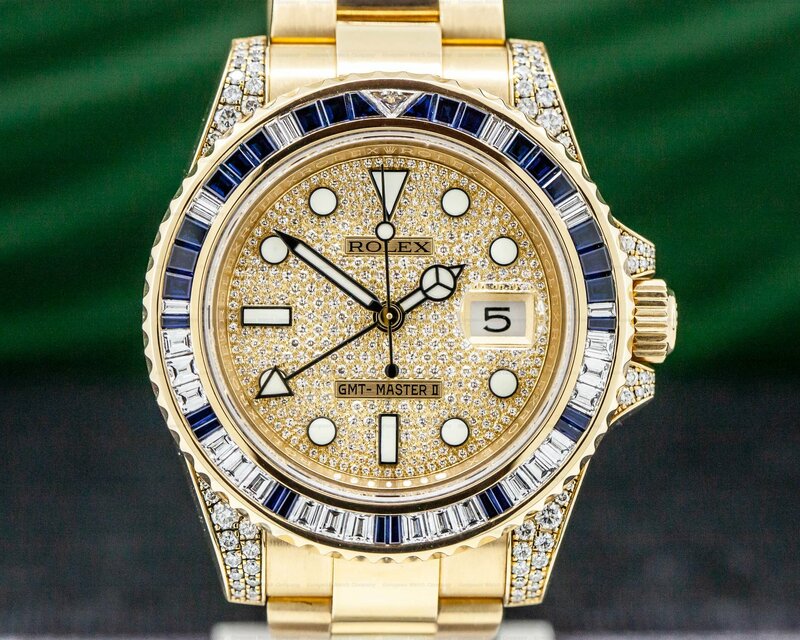 It was also made in 18K yellow gold and platinum. 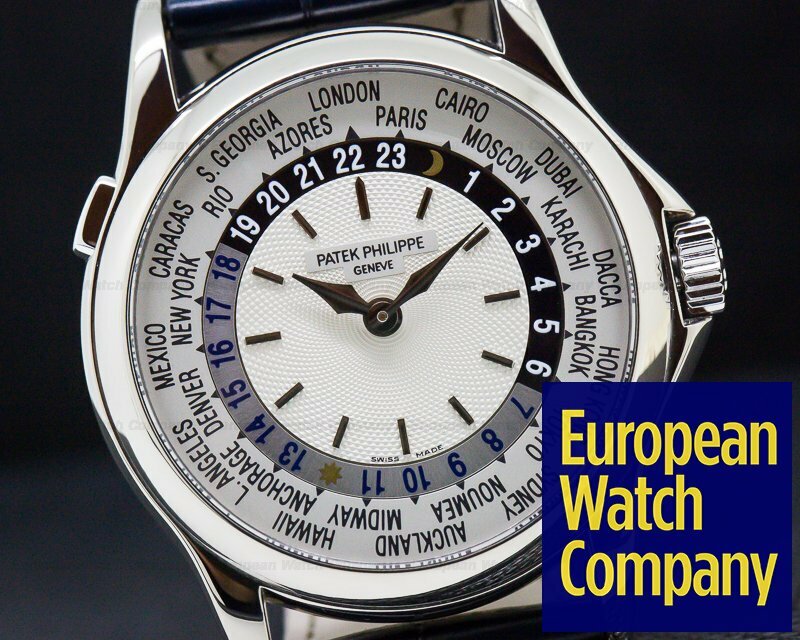 Patek Philippe's philosophy behind this watch - which was brought out during the early 2000's - was to make an international statement of harmony. 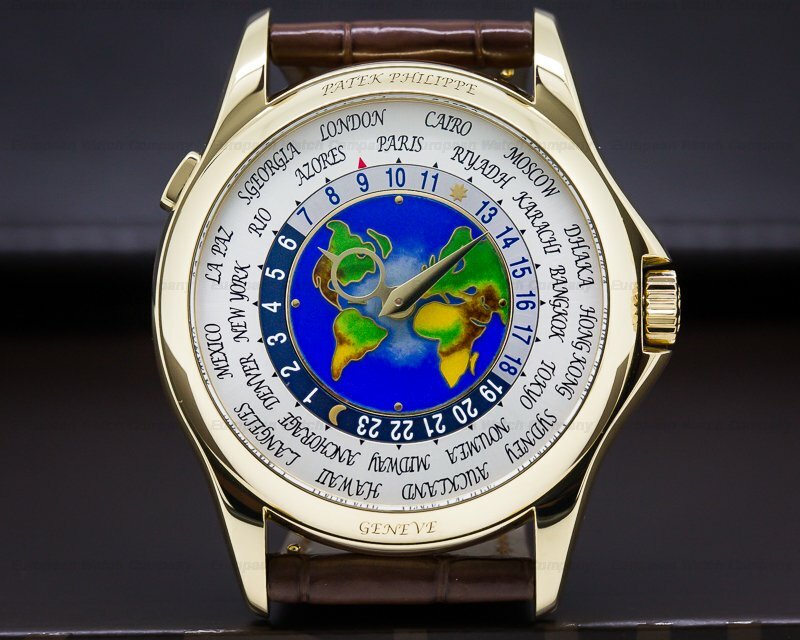 It was discontinued, and is considered one of the greatest international wristwatches of all time.